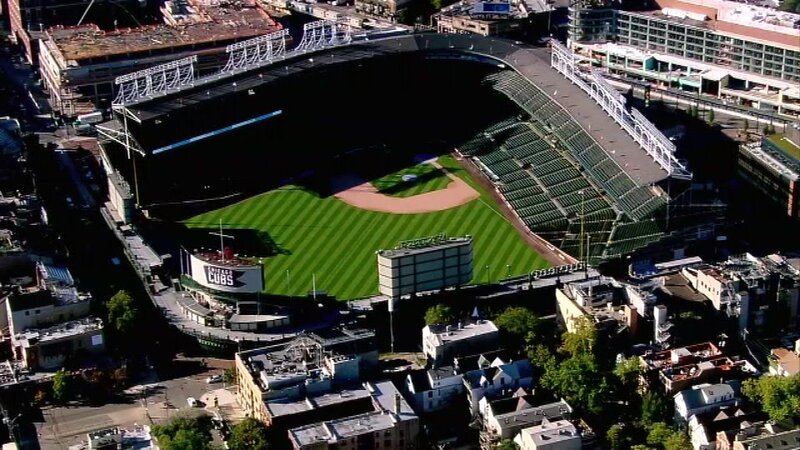 CHICAGO (WLS) -- A Schaumburg man is suing the Chicago Cubs and Major League Baseball after he was hit by a foul ball earlier this year at Wrigley Field. John "Jay" Loos, 60, says he permanently lost the sight in his left eye when the ball hit him at Wrigley on August 29 in a game against the Pittsburgh Pirates, according to his attorneys at Clifford Law Offices. He claims the ball was hit at a speed as high as 100 miles per hour. Loos was sitting in section 135 down the first base line at Wrigley. His complaint also alleges that more than 1,700 fans are injured by baseballs entering the stands at high rates of speed, including a toddler who was injured in New York. Cubs spokesman Julian Green issued a statement on the lawsuit, saying, "The safety of our fans is paramount to a great game day experience," Green said. "We will continue to work with Major League Baseball to discuss and explore ways to ensure the safest possible environment for our guests." ABC7 reached out to Major League Baseball, but have not heard back.